After VE Day in 1945 the British population returned enthusiastically to the road. But the cost and availability of both vehicles and fuel led to the post-war scene being dominated by motorcycles, most of them ex-military machines, eagerly snapped up for everyday use in an age when a family car remained just a dream for many. The British industry, meanwhile, was exhorted to 'export or die', and until well into the 1950s the majority of new British bikes were sold abroad. During this period, the industry - the largest and most important in the world - continued to develop new and exciting machines. Mick Walker tells the story of the British post-war motorcycle during this golden age of the industry. 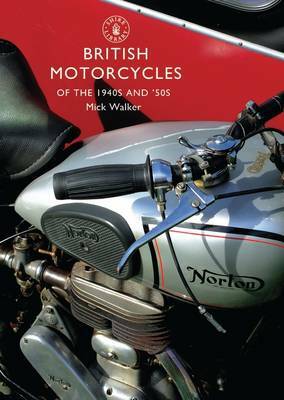 With the help of archive photographs and advertising material, this book conjures up a lost age of the British bike, of journeys to work by popping two-strokes, and trips to the seaside in the family motorcycle combination.